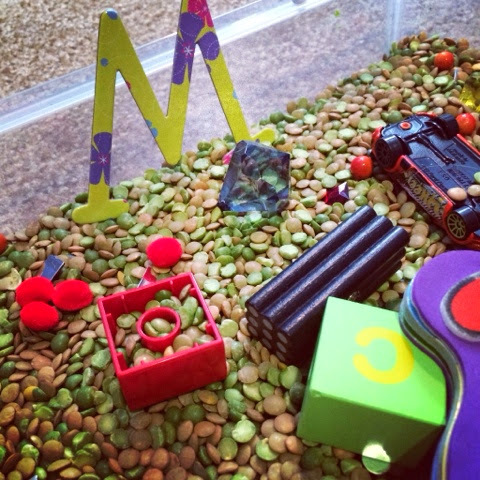 All month long we will be focusing on the letters in Mack’s name through arts and crafts, sensory play and science projects. Rather than sticking to traditional letter of the week learning, I am trying to give letters context and focus more on learning them through exploration. Today’s activing was focused on what is and isn’t magnetic for the letter M. We discussed how the letter ‘m’ sounds and discussed some words that begin with ‘m’. 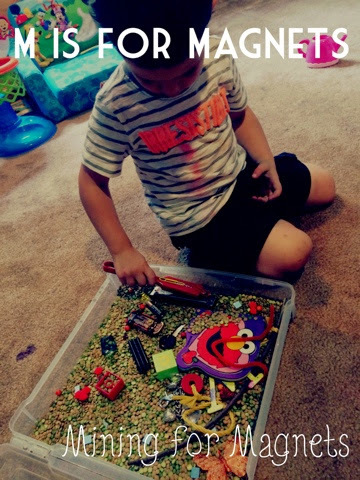 We then went on to make our mining for magnets bin inspired by No Time for Flash Cards. 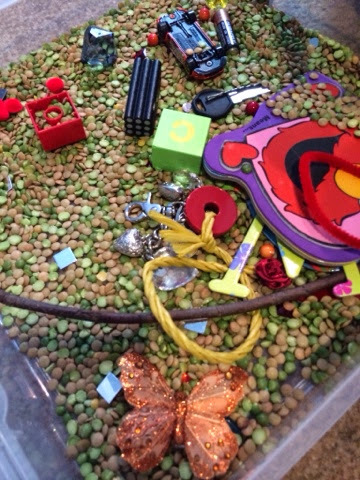 We gathered both magnetic and non-magnetic materials including chain, old keys, toy cars, bobby pins etc and put them in some lentils. 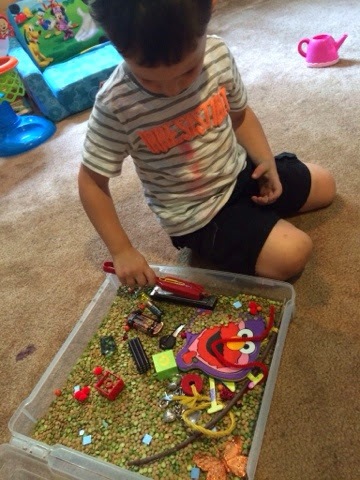 I added the non-magnetic toys and books so that they could understand that a material needed to be made of metal to be magnetic. 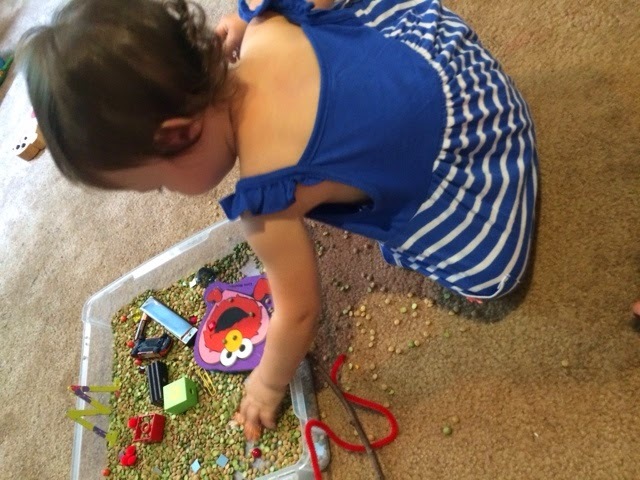 I gave the kids magnetic wands (which I love) and they started digging! 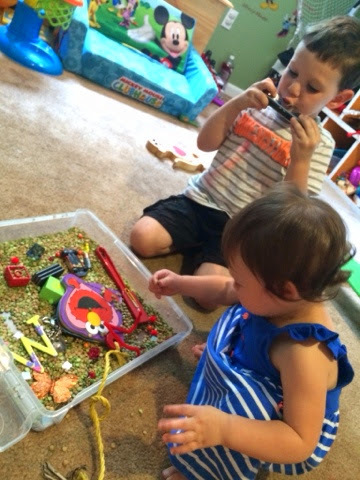 Mack’s favorite find was a metal harmonica. This was so much fun for us!